When you go on holiday, you are subject to a reasonably strict set of criteria about what you can pack in your suitcase, what you have to take in hand luggage and what needs to be declared upon entry to a foreign country. These systems are in place for very good reasons. It can be frustrating having to remember what needs to go in little plastic bags before you go through passport control, but these are safety measures designed to protect passengers. Similarly, you are not able to bring meats and other types of foodstuffs from one country to another in order to avoid cross-contamination and diseases being spread. Most people understand these reasons and seasoned travellers soon become accustomed to the dos and don’ts of foreign travel. But did you know that goods which are transported between countries are subject to a similar type of legislation, along with the wooden packaging in which they travel? At first this may seem odd. After all, putting oranges into a wooden crate, for example, seems to make perfect sense. Crates can be stacked on top of each other, they are easy to transport and the shape allows for many of them to travel in the same compartment. Similarly, goods which are transferred on a wooden pallet are transported this way because of its convenience and cost-effectiveness. But taking untreated and unchecked wood between countries actually carries its own risk of cross-contamination, with the potential to spread disease into otherwise unaffected countries. It also carries the threat of infestation by insects. And taking insects from one country to another, however inadvertently, also means a possible spreading of disease and negatively affecting domestic plants and ecosystems. So what can be done to prevent these situations from arising? In 2005, a set of stringent regulations was put in place to ensure that wooden packaging must meet certain conditions before being brought into the European Community. These rules apply to all types of packaging, including boxes, pallets, cases, crates and drums. Essentially, all of these items must comply with the International Standards for Phytosanitary Measures 15 – usually known as ISPM15. These standards demand that all of these wooden products need to be debarked and heat-treated in order to fumigate the wood. The debarking measures prevent insect infestation, while the heat treatments effectively sterilise the material. 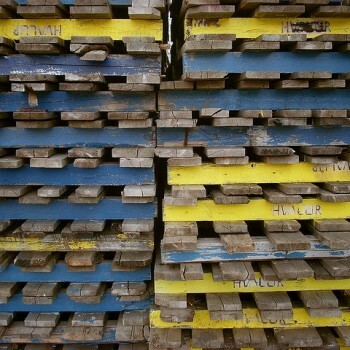 All manufacturers, importers and exporters are obliged to meet the ISPM15 regulations and the treated wood will be stamped to prove these measures have been carried out on the wood before it is transported. By using heat treated pallets, boxes, crates and drums, all involved parties are demonstrating not only industry compliance but also environmental responsibility and ethical operations. Most companies have green policies, strict health and safety standards and expectations of supplier sustainability policies, so it is therefore important that they carry these important quality measures through right to the very end of the chain when their goods are transported to other countries to be sold.